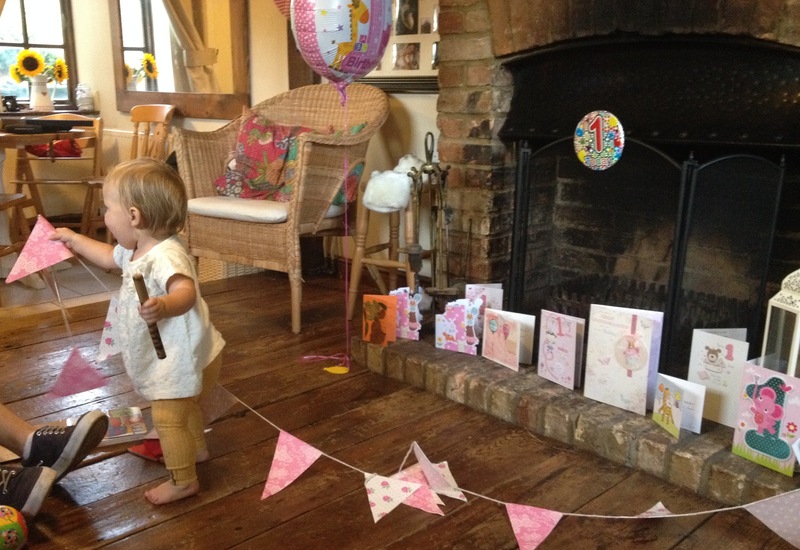 As you may know, Poppy has recently had her 1st birthday. But instead of buying more toys and ‘things’ for her, I decided to have a clear out. You see, ever since learning about the Montessori approach I have been dreaming up her perfect minimalist bedroom layout that will inspire her to learn through exploration, instead of overwhelm her with colourful, noisy stuff. It is quite a challenge as Poppy’s bedroom is so tiny (more reason to avoid clutter), and thankfully her birthday has come and gone and her minimalistic bedroom has remained in order. Children, especially babies, don’t need hundreds of gifts when it comes to birthdays and Christmas. The more they get, the more they expect, but the endless toys then have no value to the child as they are so easily replaceable. Spoiling a child does not encourage gratitude or foster a respect for their belongings. Instead they feel entitled to objects and become possessive, and any parent knows how ugly that can be. With so many toys to choose from they don’t need to be imaginative in the way they use them, they simply discard them when they become bored and move on to the next one. When a child has few toys they are far more likely to spend longer concentrating on all of the different things they can do with them, becoming resourceful and developing flexibility of thought which will help them in all areas of life. They also look after their things better and when things do inevitably get broken they experience true disappointment and learn valuable lessons from it. If a child grows up with the view that material things are to be desired in great quantities, with no sense of responsibility or value for those objects, surely we are just breeding more selfish and greedy human beings. We are doing our children a disservice by allowing this snowball effect to happen, and why? Because as parents we crave validity from our children? Their faces light up and you get endless hugs and kisses! Of course any parent would love that! But I bet it doesn’t last, as the gifts get bigger and your wallets get lighter your children’s reactions get less satisfying as they become harder to please! So what are the benefits to a more minimalist approach? As well as avoiding all of the above you will be creating an accessible environment that will help them to flourish. A tidy, organised bedroom is helpful for a child to organise their minds and make selections based on what is in front of them, which is difficult when there are flashing, bright pieces of plastic hanging out of every crevice and toy boxes crammed full. This mess will send their minds into overdrive, and that is a very damaging state for a child to be in as it does not allow for natural learning to occur. I know I can’t focus when the house is a mess! A calm, organised environment is at the heart of a child’s learning, and this fosters a deep concentration that will unlock never ending learning opportunities. A child raised in this environment will be contented, as learning is what they are designed to do and their energy is not being wasted on pointless activity or darting from one thing to the next without purpose. When you have just a few educational toys available the child will be able to get the most out of them they possibly can and return them to where they belong by themselves, because every toy has its own place. That last sentence has got to be enough to keep Mum and Dad happy too, right?! Of course there is room for a few toys that don’t have a specific educational purpose. But choose wisely and be frugal. 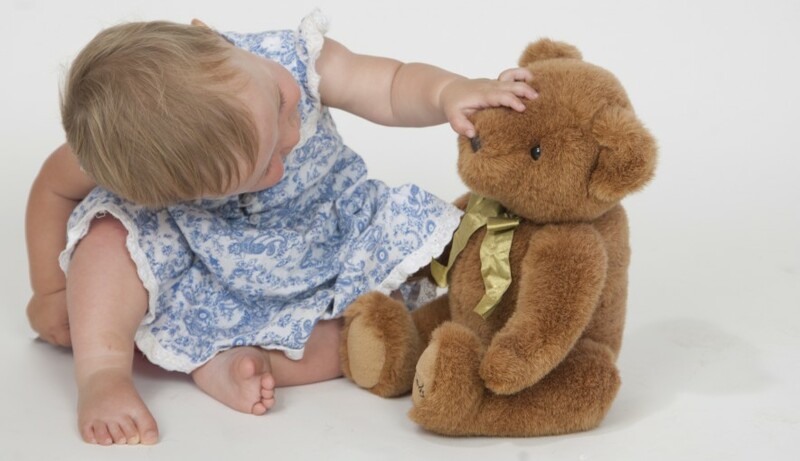 For example, I am thinking of buying Poppy a rag doll for Christmas, as she loves her teddies and as her play develops she can use a doll to learn about responsibility and different roles (hopefully wearing her in a sling and pretending to breastfeed if I have set a good enough example!) I have written about play before, and it is so important that children develop a good imagination, but a big part of this is using one thing to represent another. Limiting the number of toys they have available to them encourages them to think outside of the box, and turn wooden blocks into a campfire or a bedsheet into a tent. Of course, if they already have a pop up tent then it has already been done for them, so they don’t need to think and ultimately they will learn less during their play. With all of this in mind I have started as I mean to go on, and for Poppy’s 1st birthday I got creative, making two out of three gifts myself. The third was the little wicker chair; something we knew she would love at this age and that would promote further independence. I also made some 1st birthday gifts for Poppy’s friends recently and it was great to hear how much the babies loved them and I am sure they went down even better with the parents because they were hand made. This is something I will be continuing and hope to involve Poppy as she gets older. This way I hope that she will start to appreciate the effort and love that goes into gifts and understand that it isn’t all about how big, expensive or new something is. Even Tim said that his birthday present of 365 reasons why I love him in a jar, one for each day of the year, was the best gift he had ever received. For people who did want to buy Poppy gifts, I requested that they looked in charity shops first, and I was really pleased that a few people did. Again, this will be something I continue, because when Poppy notices a pencil mark on one of the books, at least I can explain to her that another child has loved that book before her and it is now being reused instead of thrown away, an important lesson in todays economy. 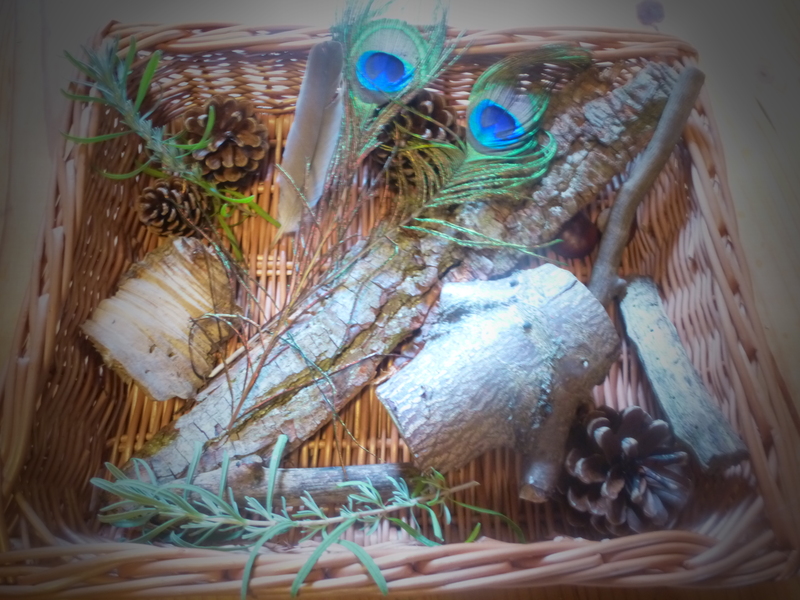 Montessori promotes a love of nature, and classrooms will often contain real plants and pictures of real wildlife. Children are fascinated by the world around them, and I find it such a shame that we spend so much time inside, away from that. So in an attempt to bring some natural beauty indoors I created this photo frame filled with stunning photographs of animals and scenery. The frame was from Ikea, and I was so happy when I found it as it was perfect for the job. I have hung the picture just above Poppy’s floor bed so that it is at her height. She loves pointing at all of the animals, although at the moment each one makes the noise of either an elephant or a lion. 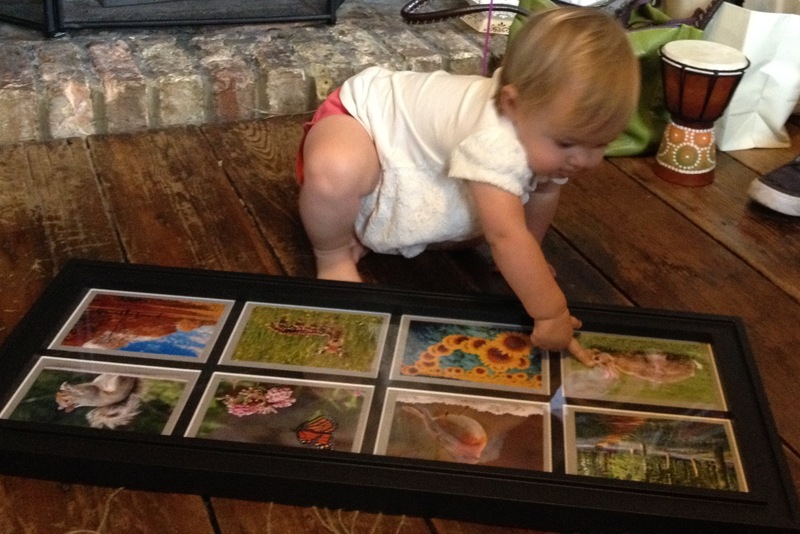 Poppy loves looking at our big picture frame full of photo’s of the family. It is a great way to help a child establish a sense of identity, familiarising themselves with faces they see regularly, their immediate community. 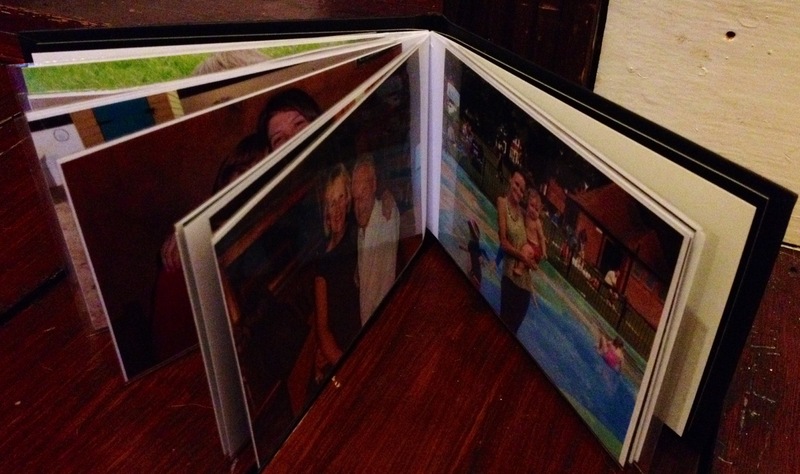 So I put together a mini album of friends and family that can live with her books for her to choose anytime. The album was £4, so I am not worried if the pages get a little bent. You all know how much I love these! I made a mini one for a friend of Poppy’s a couple of month ago and have recently made Poppy a nature treasure basket as well as one full of purses, pouches and containers all made of different materials and with different openings for her to practise opening and closing. This is a great idea for this age as they also love carrying things around in bags and boxes and transferring objects. This is probably the easiest gift to make and there are so many variations, it never gets boring! I am cheating here because this one wasn’t made by me. 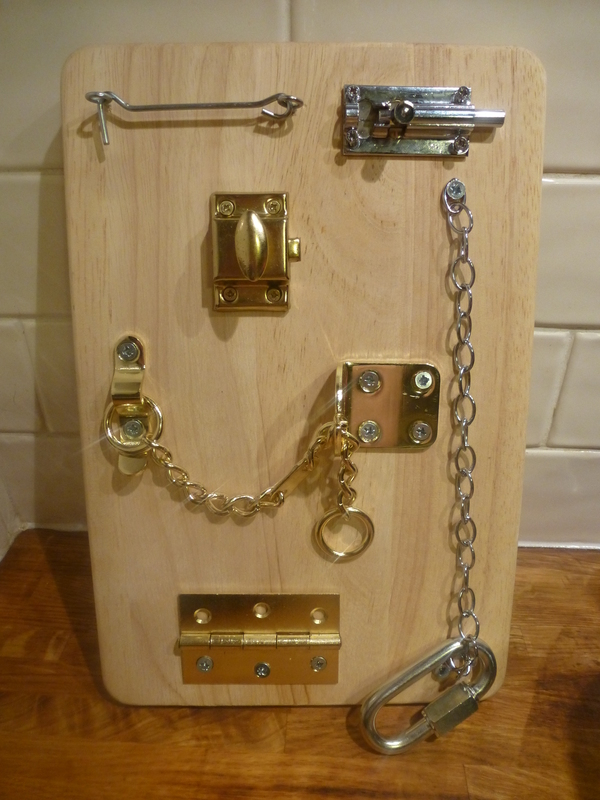 In fact it was made for Poppy from the friend we gave the latch board to! But I love it and love that it was hand made so had to include it on the list. I was told the idea was from pinterest, and I am sure there are loads more ideas on there and on the blogging scene too. I am not going to share it on here, but I wrote Poppy a poem for her birthday, which is now in her ‘Bump to Birthday’ book. I hope it is something that she will treasure when she grows up as it came straight from the heart and is rather special to me. I think this is a lovely keep sake for a 1st birthday, that doesn’t cost a penny! 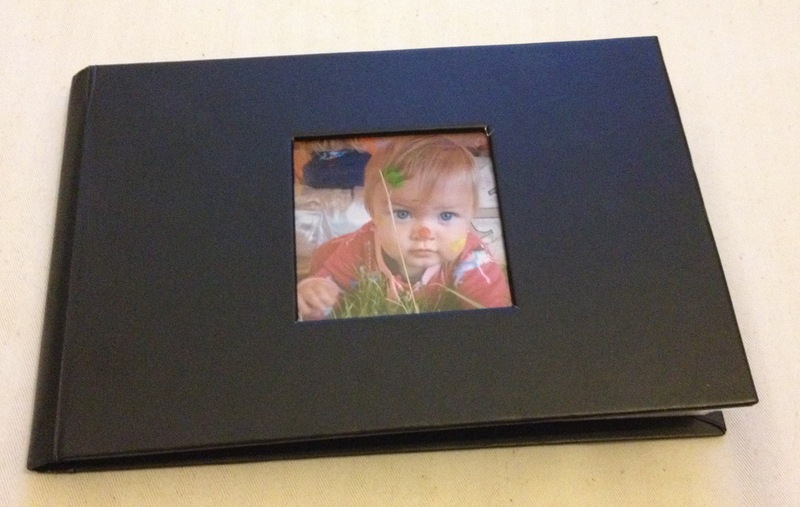 Personalised book – I am definitely making one of these for Poppy’s 2nd birthday! A hand made book all about her. 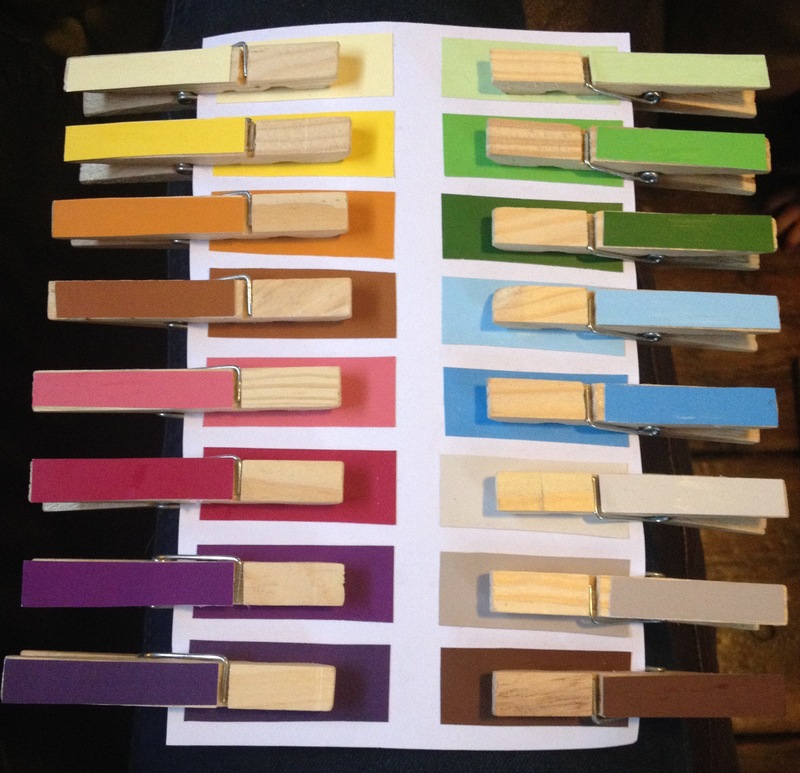 You can also use these to help explain different events, such as the arrival of a new baby, or moving house. Experiences – an afternoon at a ceramic workshop, cooking class or dance academy. The possibilities are endless! A child’s cookery book – you might be grateful when it comes to Mother’s day! Audiotape – I can’t wait until we can use these on long journeys! Great ideas! I LOVE the minimal approach. Since we practice Montessori at home, I have noticed that keeping things clutter-free may seem more challenging at first but is SO much easier long term. It requires more thought and discipline on my part, which is always a good things especially since our children model our behavior. Thanks for stopping by! Absolutely…unfortunately I have some work to do on the rest of the house, I find her bedroom the most relaxing as it is the tidiest with nothing out of place!